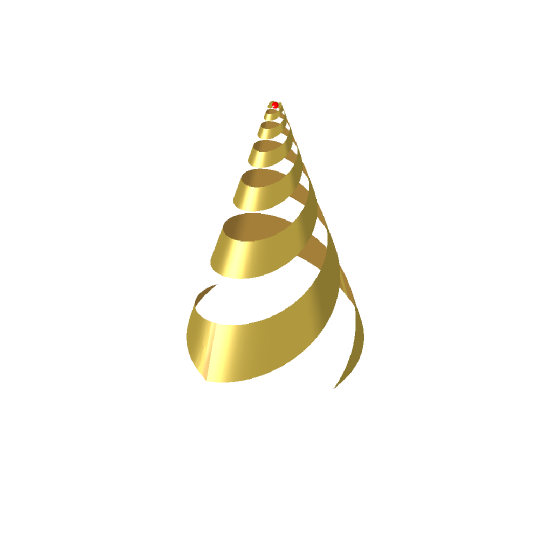 Image of the Conical Log Spiral. The planar, balanced two-arm equiangular (logarithmic) spiral antenna was made fully uni-directional in 1958 by Dyson, by wrapping or projecting the planar spirals onto a conical, dielectric surface. 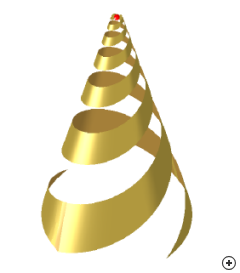 The conical spiral retains the multi-octave bandwidth properties of the planar spiral while providing broad-lobed unidirectional circularly polarised radiation in the direction of the cone’s tip.